Some people might consider concern and care for Mother Earth something new and trendy. Far from it! As far back as 1877, Gerard Manley Hopkins was deeply touched by the violence done to all creation by people. This is clear in his most famous work, GOD’S GRANDEUR. Is Nature Trying to Get Our Attention? 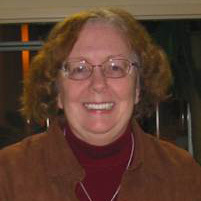 Notre Dame Sister Kathleen Ryan is the Director of the Diocese of Cleveland Social Action Office. She is responsible for creating and implementing programs and pursuing legislative advocacy for peace, social and economic justice. She is beginning her 25th year at Catholic Charities and the diocese after a nineteen year teaching career. She recently was named Coordinator of the Sisters of Norte Dame, Chardon, OH, Justice, Peace and the Integrity of Creation Committee. Living Justly is about working together to build the kingdom of God “on earth as it is in heaven.” Your comments and questions on this blog will strengthen your own commitment to the Gospel and contribute to the commitment of others. Please participate.